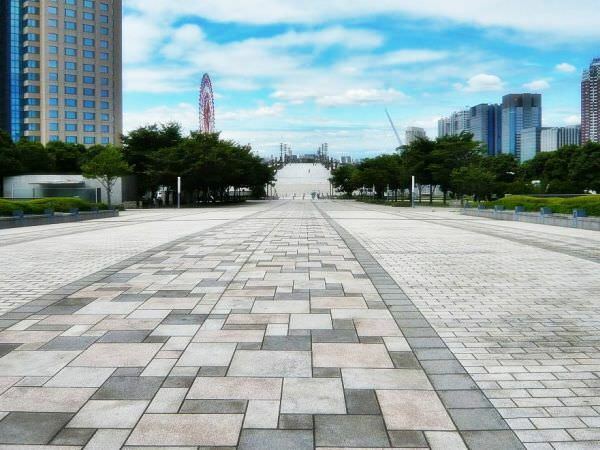 Symbol Promenade Park, which opened to the public in 1996, is the largest park in Rinkai Fuku-toshin (refer to #348). 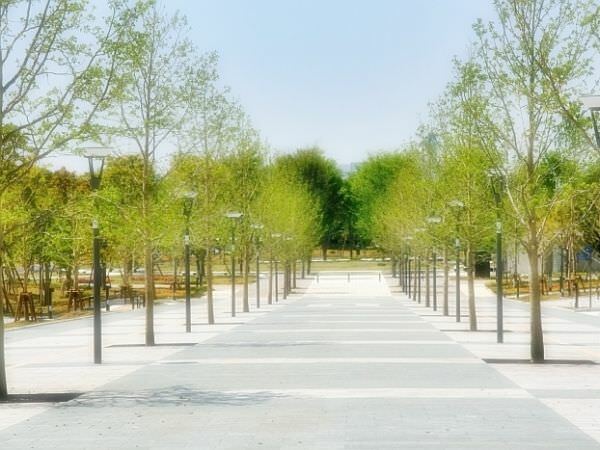 This huge park has 264,205 square meters in area and consists of three sections: West Promenade, Center Promenade, and East Promenade. Many attractive facilities are located around the park. For example, DiverCity Tokyo Plaza (refer to #356), FCG Building (refer to #355), Miraikan (refer to #354), Mueseum of Maritime Science (refer to #353), Venus Fort (refer to #357), Daikanransha (refer to #358), Tokyo Big Sight (refer to #350), etc.